Welcome to our first issue of 2019, and we’re pleased to announce that we have a whole host of woodworking and woodturning content for you to enjoy. 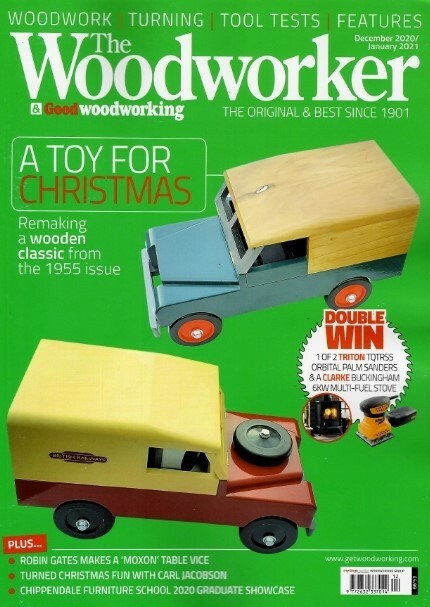 In terms of projects, join Shaun Newman as he starts to build his very own iconic Renaissance instrument; Dave Roberts copies a ceramic artefact salvaged from the deep; Peter Bishop makes a novel wedding card gift box; Phil Davy gives an old piece of furniture a welcome facelift; Cameron Sidgwick’s rustic wooden bed frame and matching table can be easily constructed using reclaimed timber; and Les Thorne’s insert ring bowl design in ash and bubinga is open to individual interpretation. If techniques are more your thing, join Michael Forster as he discusses, in the first of a new four-part series, the essential kit and skills you’ll need to start hand-cutting dovetails. 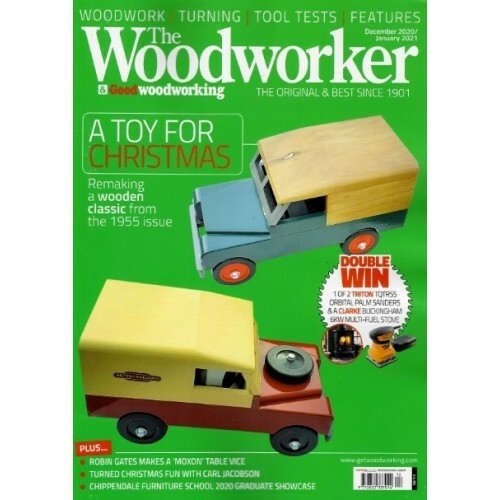 In our features section, Robin Gates’ ‘Archive’ helping from January 1929 offers hope for the overmantel’s revival; Anselm Fraser, principal of the Chippendale International School of Furniture, looks at woodworking as a creative outlet; in ‘Me & my workshop’, we meet Holiday Lodge Developer Matt Morgan. To kick off the New Year, we also have a varied range of kit and tools on test, starting with the Ryobi ONE+ Project Vac, which, as Phil Davy discovers, is lightweight, portable and convenient. Next, awarded the full five stars are the new range of LED torches from Trend, and the Kunz No.100 squirrel tail plane and the Axcalibur Forstner bit set are also highly recommended. We also have a great competition running, this time in conjunction with Triton, which gives five lucky readers the chance to win their very own SJA100E SuperJaws portable clamping system along with all the normal readers tips etc. All this and much more in the January 2019 issue of The Woodworker & Good Woodworking, which is now on sale!